The announcement by partners Total and CNOOC on January 29 regarding the Glengorm discovery with estimated resources close to 250 mmboe is headline news, the last discovery of this size being Culzean in 2008. The rig is still on location but likely to complete soon. There is no current E&A drilling in west of Shetland. Equinor spudded its Bigfoot exploration well on January 22 and then re-spudded the well as 9/22a-4A on January 25, presumably for mechanical reasons. The well is a firm commitment with partner BP and is targeting Triassic prospectivity in the Lewis Formation. 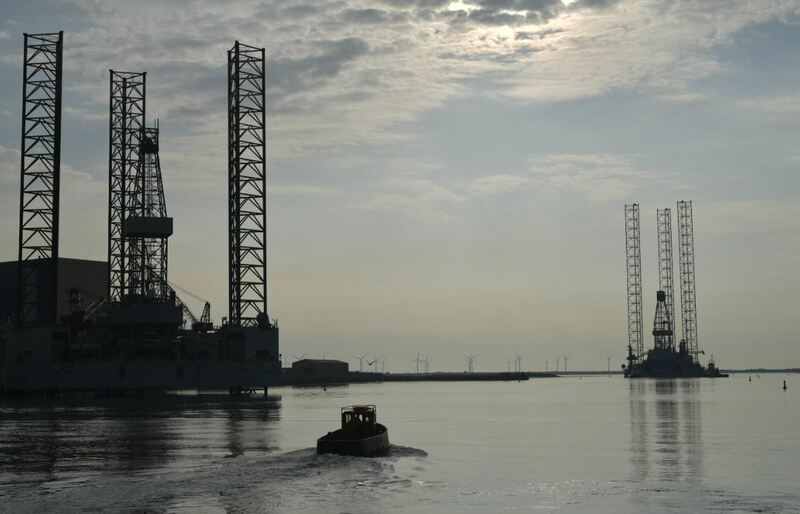 The well is the first of three wells in a back-to-back campaign in the UK that will utilise the West Phoenix rig. CNOOC’s Glengorm exploration well 22/21c-13 was spudded on August 26, 2018 and announced on January 29 as having made a significant gas-condensate discovery in the target Upper Jurassic reservoir, reaching a total depth of 16,588ft. The reservoir was found to be high quality and with 123ft of net pay. Partner Total has reported resources to be close to 250 mmboe, which would make this the largest discovery to be made in the UK since Culzean in 2008. On December 30, Eni spudded exploration well 22/19c-7 on the HPHT Rowallan prospect with the Ensco 121 rig. It is targeting pre-drill resources of c. 133 mmboe in the Triassic and Middle Jurassic within a fault block structure, analogous to the Culzean field. Corallian’s Wick exploration well encountered the Beatrice sands reservoir at a depth of 3,063ft, however, these were water-bearing and the well was abandoned as a dry hole at a total depth of 3,281ft MD. The key risk was containment and it is expected that this was the cause of failure. The rig has now moved to drill the operator’s 98/11 Colter appraisal well in the English Channel. Neptune spudded the 44/12b-7 Fault Block 9 exploration well on October 29 with the Ensco 101 at a location north-east of the operator’s Cygnus field. The well was then abandoned earlier than expected on December 18. The short duration suggests it failed to find commercial gas resources in the target Carboniferous reservoir.